It is an interesting human characteristic that we spend lots of energy trying to rework and change the past — at the same time, we fail to believe we can change our future! A belief that the future is unchangeable (and actions/inactions that often reveal this hidden belief) is called fatalism. It is a belief that fate is set. The ancient Greeks and Romans believed in the Fates, three women who created the thread of life for each person, measured it out, then cut it, when it was time to die. No beating the fates. I think I much prefer (please excuse my attempt at translation), Que fuera era. Whatever was, was. That might be “reverse fatalism.” The past has happened and can’t be changed. But we do have some choice about how the future plays out. We don’t have FULL control of our futures. But we have much more than we often like to claim. And that might be the better focus: changing what we CAN change, what we CAN control. 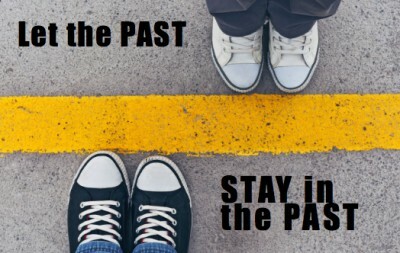 The past is NOT part of what we can change. The future (starting in the present) holds much more potential.